MIN > Blog Post > Social Media Marketing > 3 Powerful Posting Hacks That You Need to Know For Instagram – That Can Be Learnt Under a Minute! Instagram is all the noise right now. Over 800 million monthly users are active on the site. More than 60 million photos are posted each day, and 1.6 billion daily “likes” are given. In fact, there are over 400 million users of the story feature alone. That’s more than the whole of Snapchat! But you didn’t need me to tell you that, it’s the place to be right now though, right? Like with anything that is extremely popular, it can be really hard to stand out amongst the noise. Trying to figure out what works for your growing audience isn’t easy. But luckily for you, you don’t have to. 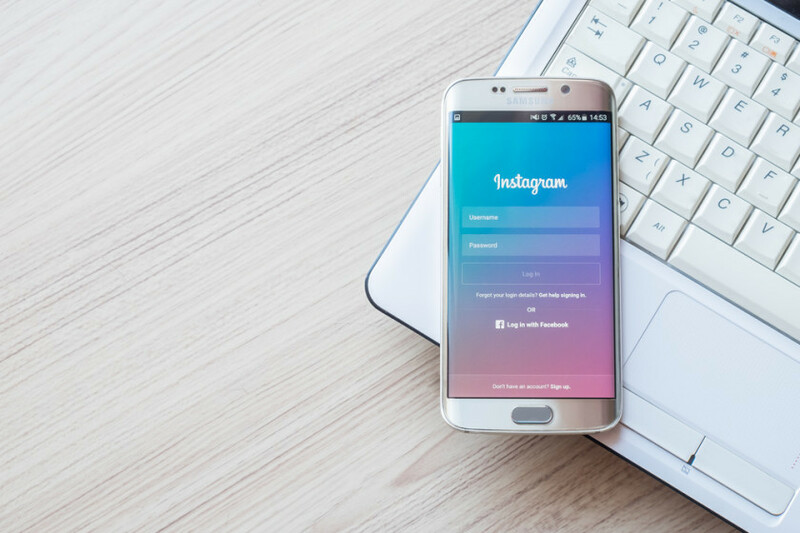 Here are 3 proven hacks that you need to know for Instagram, all that can be learnt under a minute – to amplify your account growth. We’ve all heard the saying – consistency breeds success. And do you know what’s even better than just being consistent at something – doing things consistently right! Instagram loves it when you post every day. In fact, their algorithms promote those users who are regularly active on the platform. But sometimes this isn’t always feasible. The simplest way around this is to at least post on the peak days – and avoid posting on the worst ones. According to SimplyMeasured, Mondays and Thursdays are the best days to post. In turn, the worst days to post on Instagram are Wednesdays and Sundays. So if you’re looking for that slow and steady route to Instagram success – hit that post button on those Mondays and Thursdays. The above nicely leads to point number two. Now you know when the best days of posting are, it’s only natural that you know when the best posting times are. Posting at peak times means you appear on more of your followers feed. Appearing on more feeds gives you a better chance of getting higher engagement. 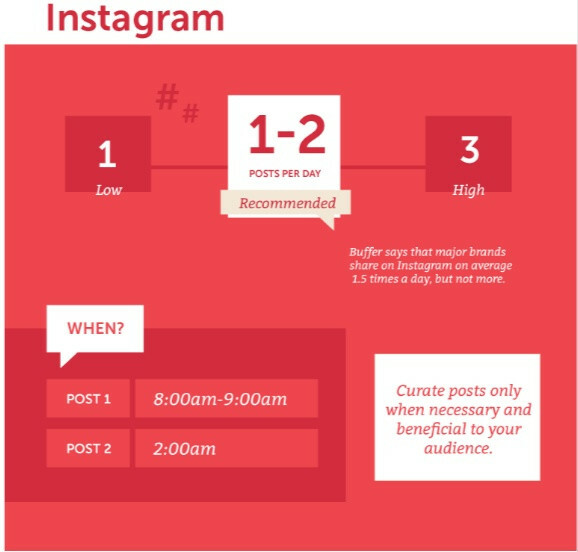 Higher engagement increases your possibilities of appearing on the explore page. And we all know, that the explore page is to Instagram what winning the world cup is for a footballer – the ultimate success. The best times of day to post are between 8:00 AM and 9:00 AM, as well as 2:00 AM, According to research from CoSchedule. People are normally commuting to work between the hours of 8:00 and 9:00 AM – and the consequence of this is that it becomes the time for checking social media for the day. And I know what you’re thinking. “2 am, that’s really random?!”. Yes, it may sound random. But many of us, during those sleepless nights, reach for something to do when our 40 winks don’t kick in. And what is one of the first things we reach for? You guessed it, our smartphones – with Instagram often being the solution that entertains us through those nights where all you wish for is a wee bit of sleep. A Superbowl ad costs millions of pounds because it’s the time when most people are tuned in to their tv, giving a brand the best opportunity to acquire more customers – it can almost guarantee a brand sales. So treat your profile just like a high profile brand, (except the only difference may be that you don’t have the buckets of billions to burn) by keeping it simple – post at the times when your people are tuned into their platform. Iconosquare can help you figure out exactly when that is. The final hack centres around the good old chicken and egg, Instagram equivalent debate. How many times should you post a day? Once or more? (okay maybe this isn’t quite as debatable but who doesn’t love a good ol’ hyperbole?). Facebook algorithms suggest you should be posting over five times a day. For Twitter, that increases to around 15 times. So what about Insta? Does it require the same scary intense levels of output? The research from Coschedule indicates that you should be posting a minimum of once a day, with a maximum of twice a day. People don’t want to feel overwhelmed. When you start overwhelming people, you begin irritating them. And the last thing you want is to lose followers, right? And for those of you who feel like uploading two pictures a day isn’t enough, Instagram’s carousel feature should be utilised to satisfy this urge. So avoid overposting – and you’ll strike the right balance between featuring in your followers’ lives without having them unfollow you. Instagram is dominating the social media world. It’s one of those platforms that aren’t completely pay to play (unlike Facebook for example) – so rightly gets used by over 800 million people a month. It’s also easy, manageable and effective to grow a following organically. The first step in your personal journey to Insta fame is to be consistent. Consistency is the foundation of success. Finally, once you start developing that following, you need to start implementing those incremental growth hacks that take your following to that next level – like knowing the best time to post that result in crazy amounts of engagement. But all that can be undone if you’re pepping your followers feeds with your latest updates – remember, sometimes less is more, so try and keep it to once a day. Implement these powerful posting hacks today, and then sit back and watch that following grow – it really can be that simple! What favourite Instagram hacks do you use to keep growing your following?